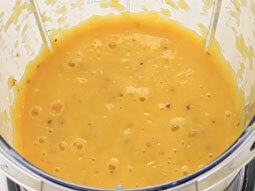 Relish the taste of king of all fruits, mango, in mango apple smoothie. 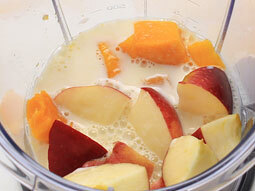 This fruity medley is a delicious and mouth watering combination of mango, apple, milk and honey. This recipe uses milk to give creamy touch however you can add plain yogurt instead of milk to give complimenting tangy touch to sweet taste of both fruits. Cut the apple, remove the core and dice into pieces. If you like, you can peel the apple before cutting. 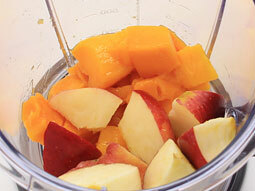 Add apple, mango, milk, ice cubes and sugar in a blender jar. Blend until smooth puree. 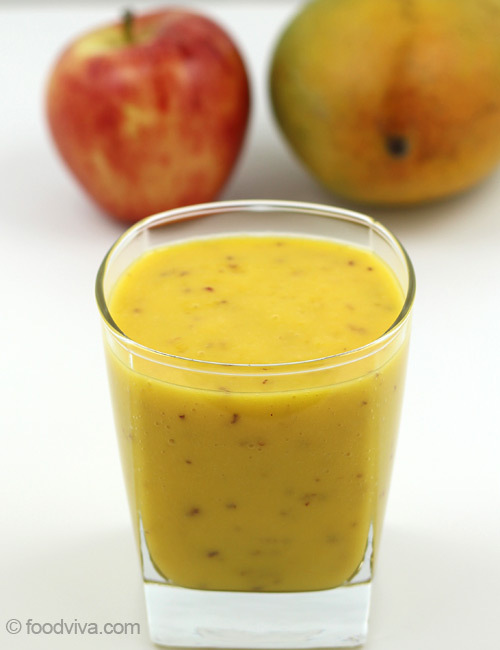 Pour prepared smoothie of mango and apple into serving glasses and serve. Apple skin is loaded with nutrients so, unpeeled apple is used in this recipe, however if you don’t like the apple skin in smoothie, peel it before adding. Serving Ideas: Serve it as a healthy breakfast drink. It is also goes well as afternoon drink during hot summer days. It is a great way to provide goodness of fruits to fuzzy kids. 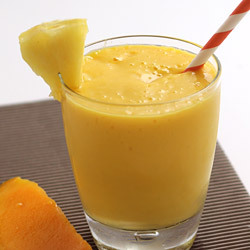 Brilliant recipe of a great tasting smoothie. Five stars. This is a great combination. I made with Vanilla Almond Milk and it was amazing. Yum!!!! I used plain Greek yoghurt and it's given the smoothie a lovely tang.